Hello To All in the Wigwam Family! Please excuse any errors in this newsletter, as it is somewhat difficult to type with mittens on, and the balaclavas on our faces keep fogging our glasses. Not really, the winter office here on Bear Lake is as warm as toast… well warm may be a bit of a stretch as we haven’t seen double digit temps since banquet night (kidding!). Anyway, Wigwam has been a whirlwind since January 1. A group of at least 20 staff and friends of Wigwam watched a stupendous fireworks display at Wabanaki Pass on New Year’s eve, as we rang in the New Year and toasted the upcoming 2014 Camp Wigwam summer season. Just last week there was a fun filled reunion in Denver, Colorado (hosted by the Dechtman family!) – congratulations to those Broncos fans on their upcoming trip to the Super Bowl – and then a quick trip to San Francisco to meet new campers and check in on Josh Mayer and Hank Greenberg. Though we didn’t actually get together, while in Denver, we had a great discussion with Wigwam legend, Nathan Chisholm, and he promises a visit to The Wam this summer, without question. Congrats to Adam Shimberg and Jack Zweben on their becoming a Bar Mitzvah in recent weeks. Onto New York City this weekend for our annual bash in Gotham. 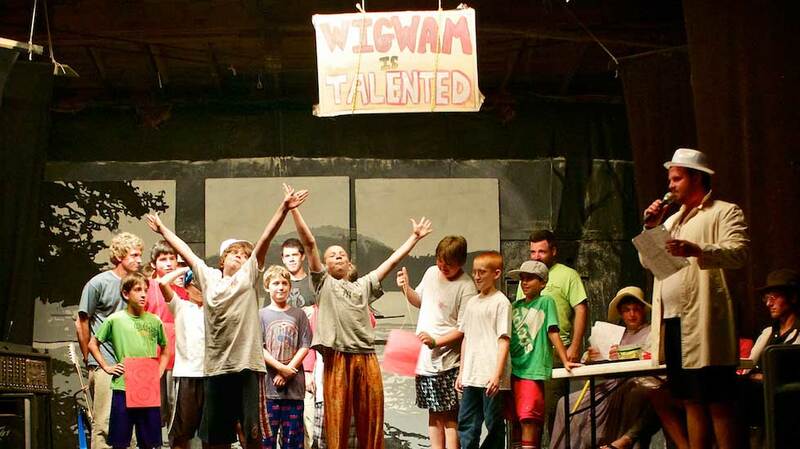 Previous Post2014 Holiday Newsletter – Camp Wigwam’s 104th SummerNext Post2014…The winter that just keeps giving.